From cosmic phenomena (see post 5) to something a little more down to Earth; trees. Trees, and in particular birches, play a small but important role in Not Dark Yet (out in November). 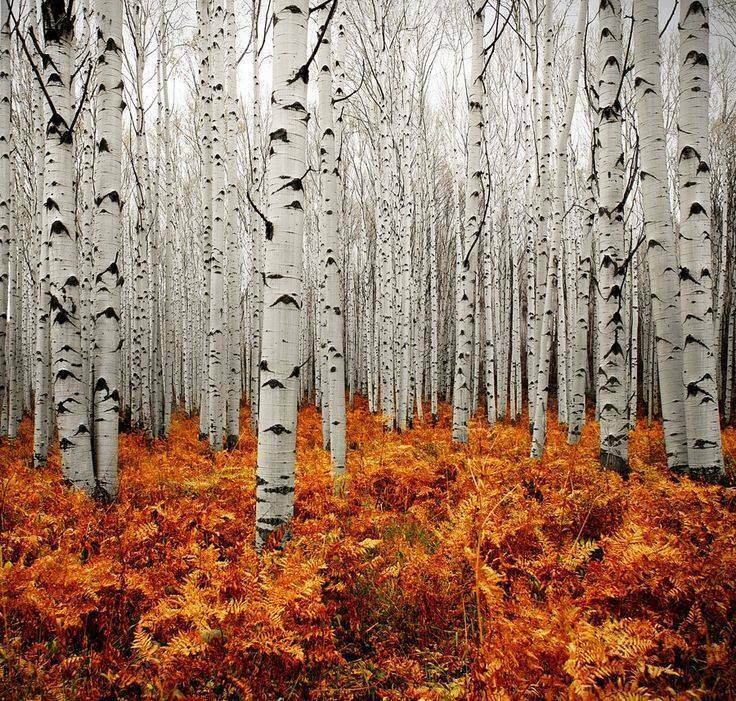 This quiet image of seemingly endless birches reminds me of a specific scene in the novel and looks a lot (but not entirely) like I imagined it. Other plant species are mentioned as well, such as heather, bilberry, fir, spruce, oak, rowan, maple, beech, ash, and aspen. And of course, wheat, barley, and rye, so important for human civilization.